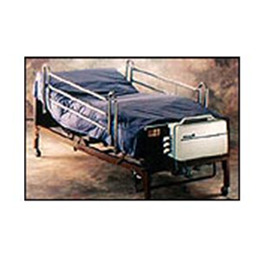 KMS's line of Low Air Loss Mattresses provide the ideal environment for wound management, while addressing four key areas in the treatment of pressure ulcers. Provides pressure relief, shear reduction, moisture control and friction reduction. User friendly electronics allow the caregiver to adjust for individual patient comfort. Air cushions are constructed of the most pliable and highest quality coated nylon for low sheer and even lower interface pressures.